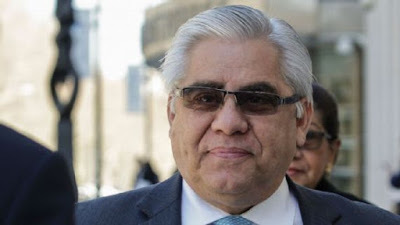 FIFA corruption scandal: Guatemala’s Hector Trujillo sentenced to eight months in prison – Royal Times of Nigeria. A former judge who led Guatemala’s football federation has become the first person sentenced in the U.S. in the FIFA world football corruption scandal, getting eight months in prison. Hector Trujillo, 63, was sentenced on Wednesday in federal court in Brooklyn. He was arrested in December 2015 in Port Canaveral, Florida, during a Disney cruise with his family. He had pleaded guilty to wire fraud and conspiracy in June. Prosecutors said the former general secretary of Guatemala’s football federation should serve more than three years in prison and pay $415,000 in restitution. Defense lawyers asked for no prison time for crimes between 2009 and 2016. According to Trujillo’s plea agreement, he would not contest any sentence less than four years and nine months in prison. Trujillo also agreed to forfeit $175,000. Free on $4 million bail, he has been staying in Miami.